A tasty Indo Chinese preparation of hakka noodles and mixed vegetables flavoured with ginger, chilli sauces and soy sauce makes a great weeknight meal. 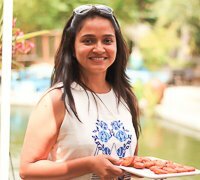 Serve it along with chilli paneer at your next party. Vegetarian Hakka Noodles also called a Chowmein in many parts of India is a very Indian Chinese adaptation of the recipe. The first time I had these was in the Chinese town of Kolkata. I was blown into a fantasy land and after that I have continued to make it just like how they do. The only difference is I have loaded it with lots of vegetables to make it more nutritious. Vegetarian Hakka Noodles can be easily be made at home and satisfy your craving for the street style food. To begin making the Vegetarian Hakka Noodles Recipe, first cook the noodles according the instructions in the package. Cool the noodles immediately by running it under cold water. This stops the cooking process and prevents the noodles from getting too soft and soggy. Add a tablespoon of oil to the cooled noodles to prevent sticking and keep aside. Now we will heat oil in a large frying pan on high heat and once the oil is hot add sliced onions and ginger and saute until the onions have softened. Once done add the capsicum, carrots, beans, cabbage, spring onions, salt to taste and pepper powder and sauté on high until it has a cooked and crisp texture. Stirring on high heat cooks the vegetables faster and also helps it retain color and a subtle crispness. You can even cover the vegetables and cook the vegetables fro three minutes. Once the vegetables are cooked yet firm stir in the soy sauce, chillie sauce, and chilli vinegar and stir fry for two minutes. Once done stir in the cooked noodles and mix well to combine.Turn off the heat and transfer Vegetarian Hakka Noodles to a serving bowl. 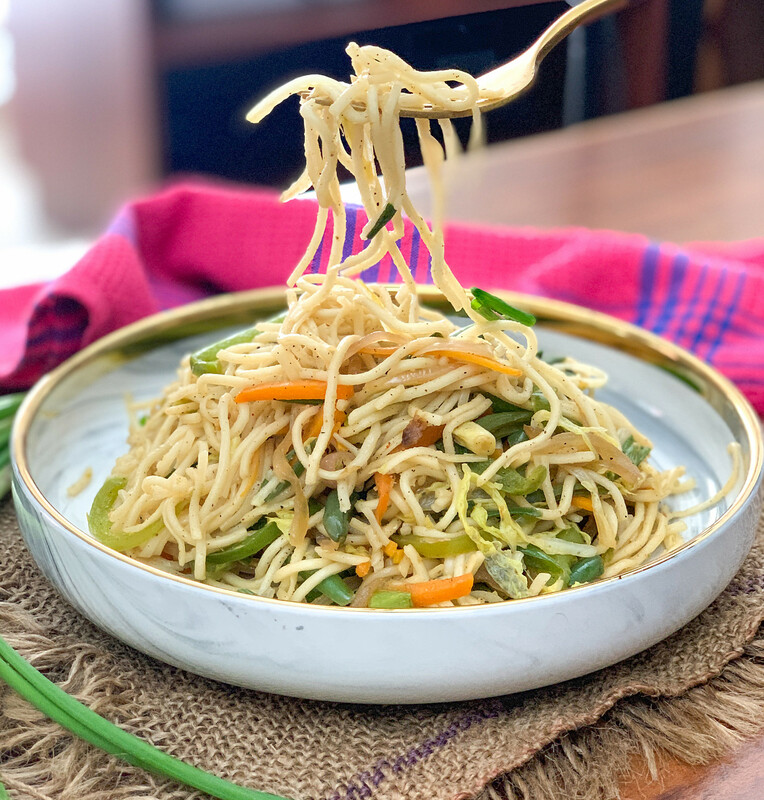 Serve the Vegetarian Hakka Noodles as a meal of its own or along with Gobi Manchurian or Indo Chinese Mixed Vegetable Recipe In Szechuan sauce.